Fri., March 17, 2017, 1:21 p.m.
SEATTLE – Clint Dempsey said Friday he’s open to whatever role Bruce Arena sees fit for him as he rejoins the U.S. national team for upcoming World Cup qualifying matches. Dempsey said ahead of the Seattle Sounders’ home opener that he’s probably not back to the level of fitness needed to play a full 90 minutes in a World Cup qualifying match. But he expects to have conversations with Arena when he joins the national team camp in Northern California next week about how he may best be used. Dempsey missed the final four months of the 2016 MLS season after being diagnosed with an irregular heartbeat. Dempsey returned to training when the Sounders opened camped in January and has played 90 minutes in each of Seattle’s first two regular-season games. Arena had indicated during the January national team camp that he didn’t believe Dempsey would be ready for this month’s critical qualifiers at home against Honduras and at Panama. 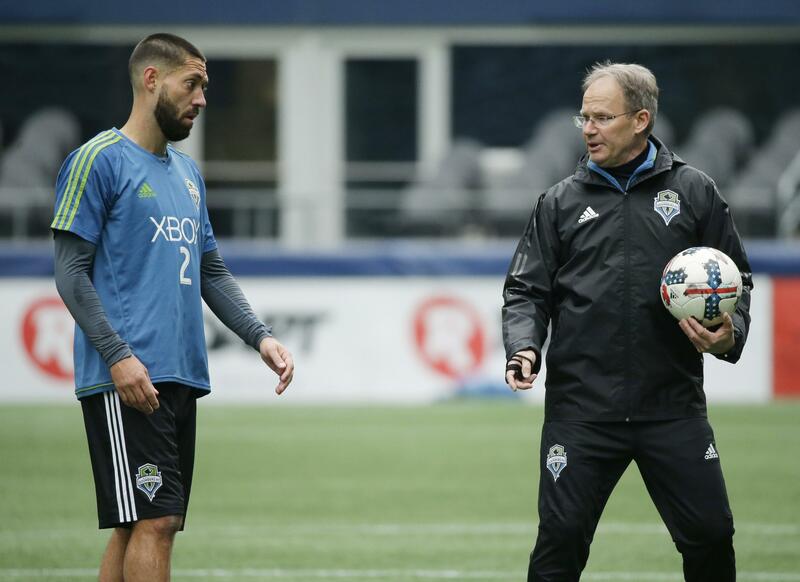 But Dempsey’s recovery has appeared to be ahead of schedule all along. “He’s been in contact with me ever since last November and then he gave me a call last week and we had a good talk and feel comfortable about moving forward and being involved in the games,” Dempsey said. Seattle coach Brian Schmetzer said the Sounders have been sharing data with the U.S. national team on where Dempsey is in his return. Dempsey has appeared in 130 matches all time for the U.S. and scored 52 goals. His last appearance came in the Copa America last June when the U.S. reached the semifinals before being eliminated by Argentina. Dempsey rejoined the Sounders after the tournament but was sidelined in late August for the remainder of the season by his heart condition. “I feel like I can make a difference and it’s kind of do or die in the World Cup qualifying situation that we’re in,” Dempsey said. Published: March 17, 2017, 1:21 p.m.